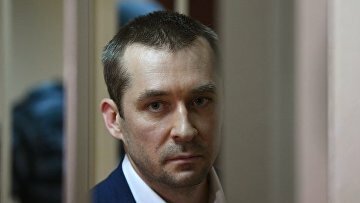 Zakharchenko’s appeal against asset forfeiture dismissed | Russian Legal Information Agency (RAPSI). MOSCOW, October 10 (RAPSI) – The Supreme Court of Russia has refused to consider a cassation appeal filed by the former anti-corruption official Dmitry Zakharchenko charged with corruption crimes against forfeiture of more than 9 billion rubles (about $136 million at the current exchange rate) and other assets to the State, according to the information published on the court’s website. Earlier, the Moscow City Court dismissed 8 appeals against the seizure of Zakharchenko’s assets lodged by the defendant, his partner Anastasia Pestrikova and his father Viktor Zakharchenko. On July 12, the Investigative Committee reported transfer of 9 billion rubles to its bank accounts. Earlier, a court granted a lawsuit filed by the Prosecutor General’s Office and confiscated money and property belonging to Zakharachenko and his relatives. Overall, the property in this case is evaluated at 9 billion rubles, including 27 real estate objects in elite neighborhoods of Moscow, 4 high-priced cars, 8 billion rubles and a gold bar. The ruling came into force in March.